Do you ever have so many things you want to say, but you end up not saying a word, because you're not sure where to begin? That's how it has been for me this past week. I've harbored so many thoughts and ideas since my trip to the funky cool Austin, TX. Although, I'm still struggling to sort out my thoughts, I figured writing this blog post would be a good place to start. 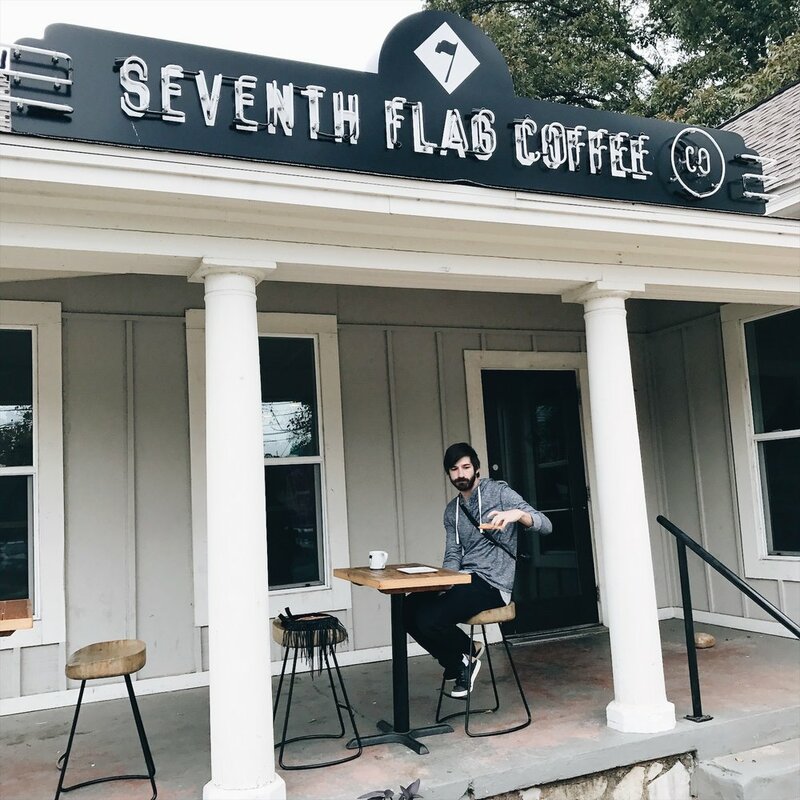 Seventh Flag Coffee: LOVE this place & their coffee - I spent a full day working here. Lovely atmosphere and super helpful & kind baristas. TOMS Roasting Co.(inside TOMS Shoes): Creative, cool space! Another great place to work from if needed. Bouldin Creek Cafe:Also, a great vegetarian/vegan breakfast spot! 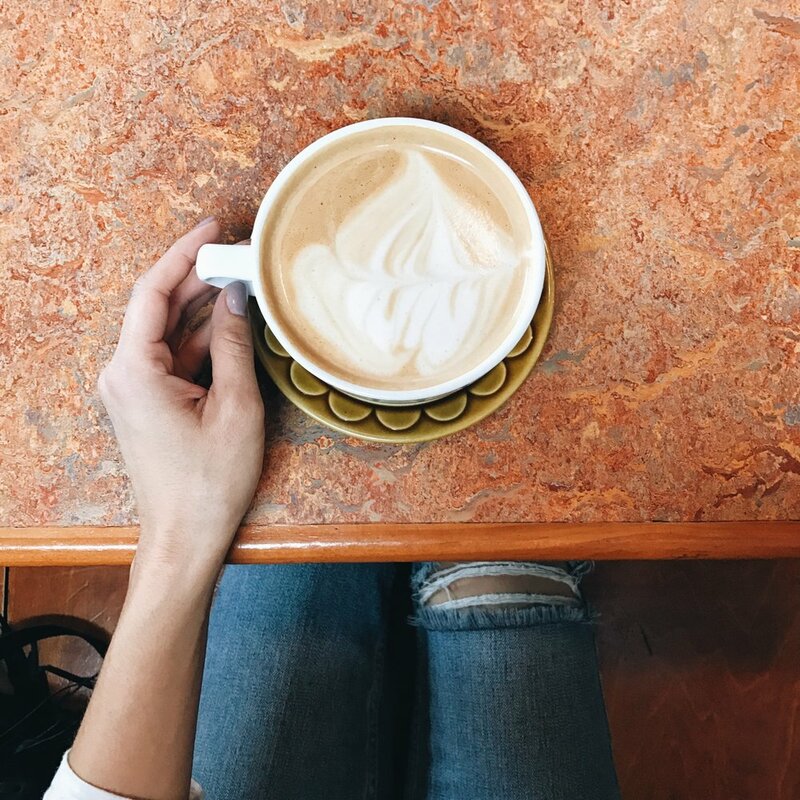 In terms of coffee, get the Maple Almond Latte!! Mmmm. 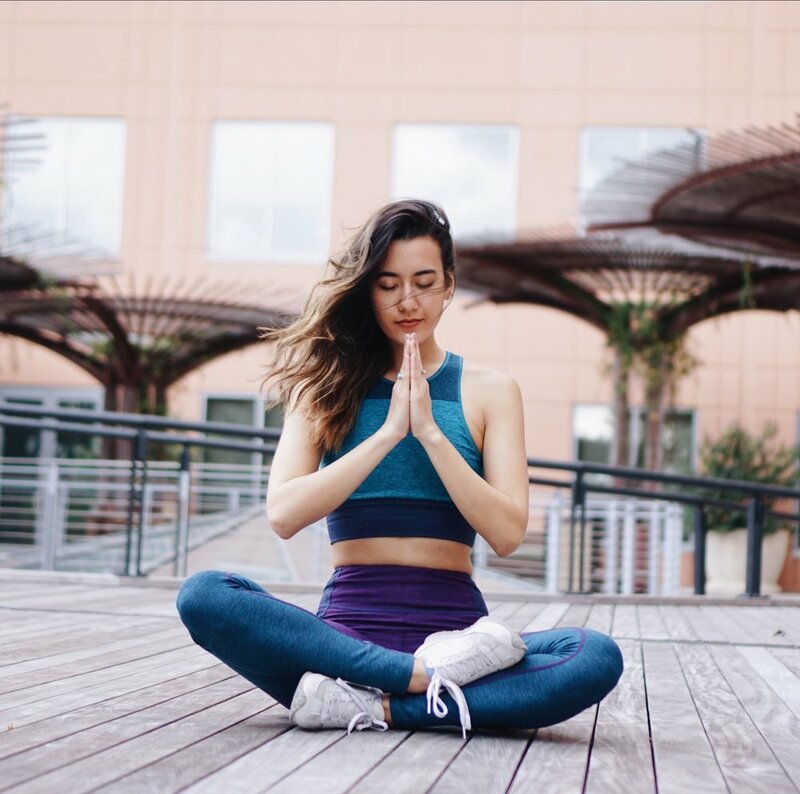 Wanderlust Austin: If you're a fan of Wanderlust like me, then you must pay a visit to this studio. It's HUGE... well, for NY standards, ha. It felt liberating to move freely in space and practice in a room where I wasn't 3 inches away from the person beside me. There was also a live DJ, so um, there's that cool detail. Sanctuary Yoga: I took the intermediate vinyasa class, and loved it! It was a nice, well-rounded flow, and I even picked up a few ideas for my classes. What I really love about this studio is the location. It's on South Lamar, which has so many delicious foodie spots & hangouts. Black Swan, Practice, Core Power: I didn't have a chance to try out these studios, but a few locals (including Sophie) recommended it! Brunch at South Congress Cafe or Bouldin Creek Cafe. Lunch at Hillside Farmacy, Home Slice Pizza, or TACO TRUCKS (...when in Austin)! Hillside Farmacy - I got the Kale Caesar, but totally wish I got Andrew's mac. The salad was good though... but, it's no mac. Zilker Park/ Barton Springs to frolic amongst nature and explore. It eventually led us to playing in a field, practicing back walkovers and handstands for an hour. Rainey Street for bars, nightlife, and late night mini donuts! East Side (East 6th Street & East 11th Street) for more little boutique shops and hole in the walls. The Domain (if you can get someone to drive you up there!) for a shiz ton more shopping, food, nightlife, and yoga! At Zilker Park - These geese, ducks, swans...whatever, were SO bossy. They were yelling at us to leave... so, all I got was one yoga photo below - how rude. Wearing Outdoor Voices - more to come on this! This was shot at the Whole Foods HQ (another place you might want to visit). Maya: GREAT for gifts & stocked with all of the quirkiest & cutest socks I've ever seen. Gypsy Wagon: Boho gyspy dream land. If you're a boho babe like me, go go go. They carry the Australian brand Spell & the Gypsy Collective, so get it there instead of paying for international shipping online! Warby Parker: I finally bought a new pair of glasses. Their store is huge, so definitely fun checking out. Sample lenses of what I ordered from @WarbyParker! Mine will be non-reflective, ha. Ice Cream Earrings... how could I resist? Laser-cut wood by a local artist here in ATX. More to come on this ethical brand, Fortress of Inca! Pro Tip: Rent bikes! There's no better way to explore a new city than by bike, in my opinion. We covered SO much ground in 5 days (really 3 days, since we were working from coffee shops 2 of the days). Once again, big thanks to Sophie from Teysha. Check out this lovely ethical brand - they specialize in hand-made custom boots, shoes, accessories, and they are B-Corporation Certified. 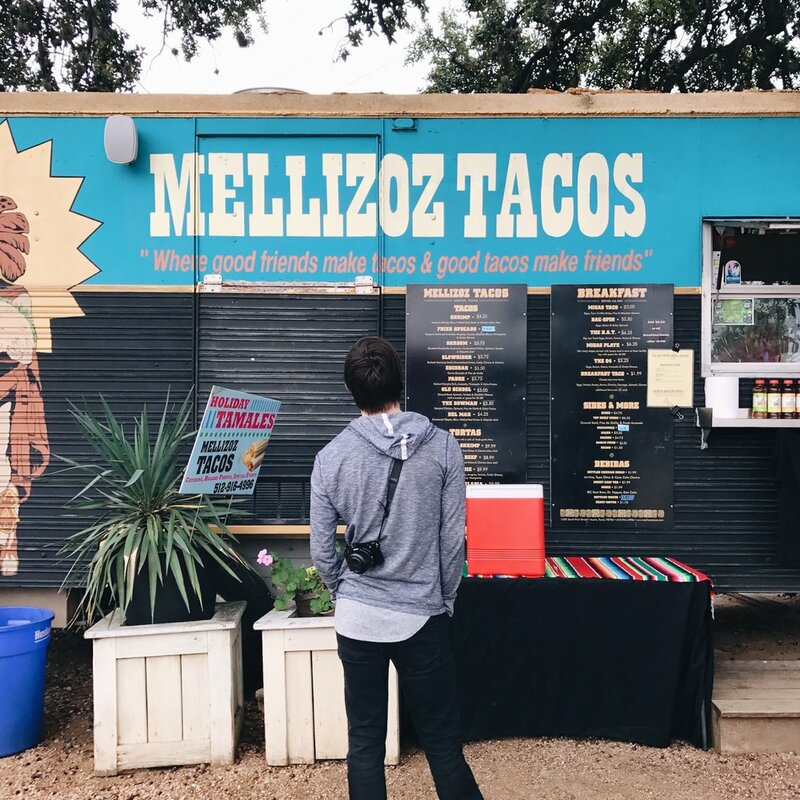 If you're thinking of visiting ATX, I hope this mini guide helps! Feel free to email me with any questions. Cheers to more adventures to come!